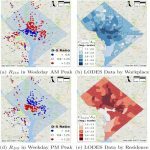 Here are some case studies that WIOMAX researchers and engineers have done on data analytics and urban computing. We hope these knowledge would significantly contribute to deeper understandings and potential improvements that lead to smart transportation. Our work on bike sharing data analysis and implications for data-driven decision supports appears on Journal of Transport Geography.